West Michigan Family Stores/Grand Rapids ARC - You asked, we answered: Why our stores can’t accept all donations? 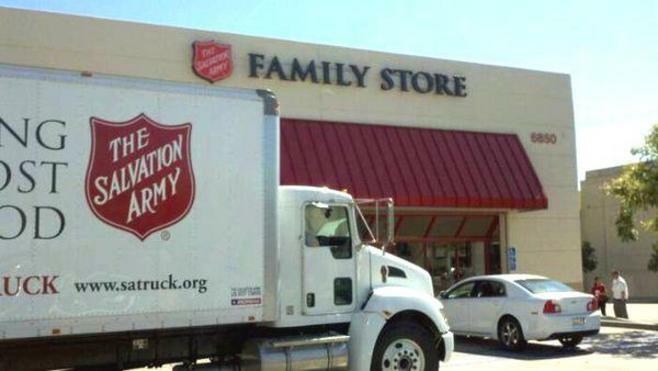 Every so often, a federal inspector will stop by one of our Salvation Army Family Stores. They don’t come to chit-chat over coffee. Rather, these Inspectors come to make sure our stores aren’t selling donated items that are hazardous, are part of a recall, or violate other government rules concerning the reselling of used goods. Thankfully, our stores continue to pass these inspections. We are telling this story to help our store donors in West Michigan understand an important fact: There are valid reasons why we cannot accept everything you so graciously donate. Sometimes, donors get angry when we won’t accept certain items – what they don’t realize is we have strict rules to follow. Breaking these rules can result in costly fines or lawsuits. Most importantly, these rules protect our shoppers. Safety is our number one priority. · Baby items, like highchairs and cribs. Baby clothes are accepted, but they cannot include drawstrings or raised lettering. · Televisions older than five years. · Built-in appliances (ovens, dishwashers, etc.) and small appliances older than 10 years. · Mattresses and box springs over 5 years old. · Furniture with rips, broken pieces, stains, odors, or pet hair. Admittedly, some of these rules can be a tough pill to swallow, such as when donors want to give an expensive couch that we could otherwise sell for a good profit. Unfortunately, if that couch is covered in pet hair, we cannot accept it. It’s hard saying no, but rules are rules, and we can’t risk selling a couch to someone with pet allergies. Hard indeed, considering how much good the money could accomplish: All store proceeds fund local Salvation Army programs. In the West Michigan area, store proceeds fund The Salvation Army Rehabilitation Center in Grand Rapids, which provides free, long-term addiction-recovery services for men and women (read success story). Another reason donations are turned away: If a store accepts an item but is not allowed to sell it, the store must pay to dispose of it. This costs our stores money that could otherwise be used to help people. These scenarios are especially troublesome when, for example, someone comes to a store after-hours and leaves an old large-screen TV on our doorstep. Thankfully, the list of items that Salvation Army Family Stores do accept is much longer than the list of ones they don’t. Our 8 stores across the West Michigan area are happy and waiting to accept your donations of new or gently-used clothing, furniture and household goods. Find your nearest location for drop-off hours. What’s more, getting rid of your old stuff will lessen your debt to Uncle Sam. All donations are tax-deductible, with write-offs ranging from $2 for a shirt, to $1,000 for a complete bedroom set, and everything in between. View our complete tax valuation guide and list of acceptable donations. The Salvation Army even accepts donated cars. To learn more, call 888-868-9305.